Born at Grey, Ontario on 20 November 1880, daughter of Andrew Broatch (c1839-1918) and Jane Thom (1838-1930), she grew up and resided at the family’s Winnipeg home at 124 Emily Street. She took teacher training then taught in the Winnipeg School Division, at Albert School (1899-1900), Norquay School (1903-1904, 1907-1908), Dufferin School (1904-1905), Wellington School (1908-1909, 1910-1915), and Alexandra School (1915-1916) before returning to Albert School as Principal (1916-1918). 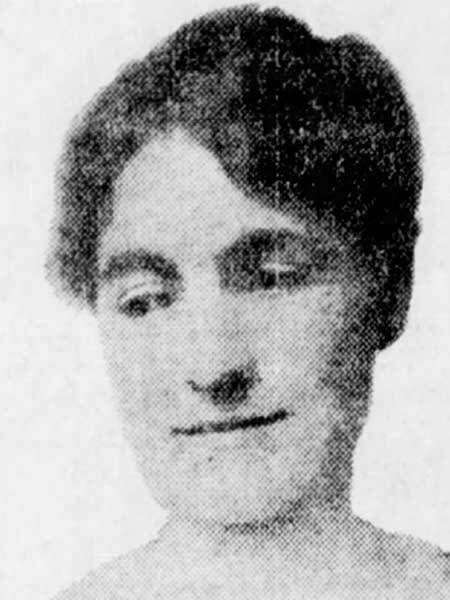 She was President of the Winnipeg Teachers Club (1918). She married Cecil Harold Best of Neepawa at Winnipeg on 14 November 1918 and had two children: Douglas Broatch Best (1921-1976) and Kathryn Cecile Best (wife of Mr. H. Aitken). She died at Pointe Claire, Quebec on 17 September 1968 and was buried at Omemee [Emily], Ontario in the Emily Presbyterian Cemetery. “Andrew Broatch dead,” Manitoba Free Press, 21 March 1918, page 4. “Society [Miss Kathleen Broatch], Manitoba Free Press, 13 November 1918, page 6. Death notice [Jane Broatch], Winnipeg Free Press, 16 June 1930, page 26. Obituary, Winnipeg Free Press, 19 September 1968, page 32.